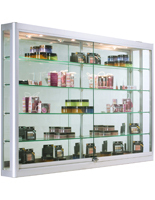 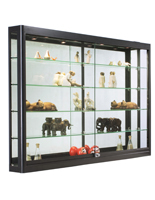 Separate yourself from the competition and make your products stand out in this illuminated wall display cabinet. 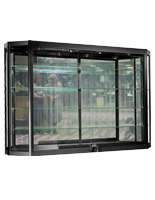 Complete with pre-assembly and mounting z-bars, these angled curio cases are ready to be used right out of the box. 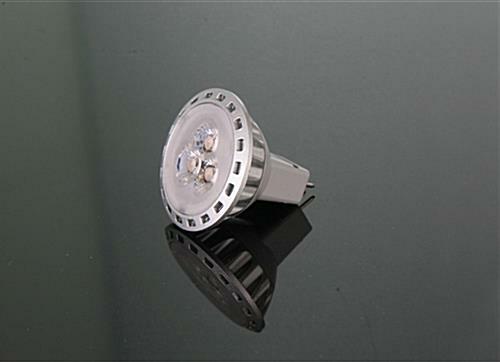 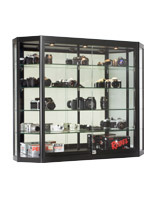 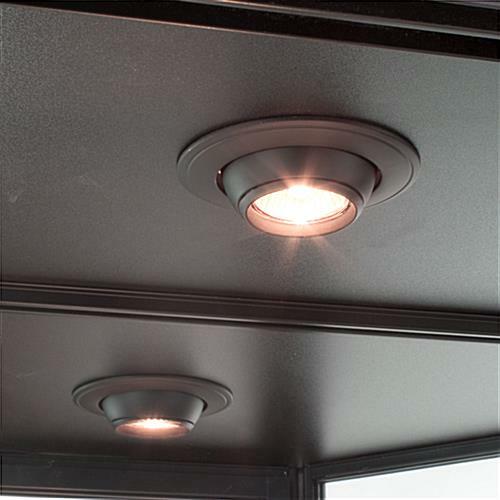 Efficient LED lighting makes merchandise in the black display cabinet stand out without breaking the bank. 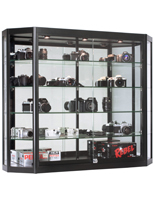 Four tempered glass shelves offer 10” deep space and are height adjustable to fully accommodate a wide array of items. 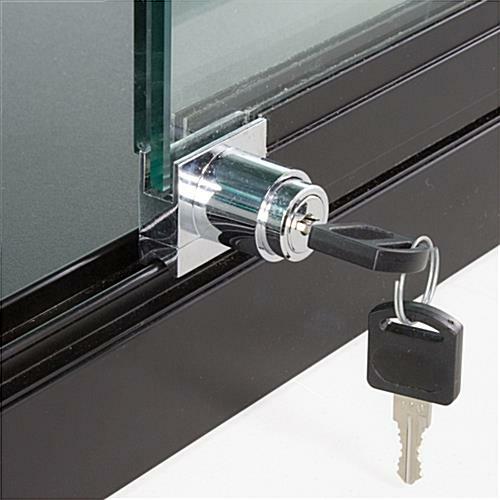 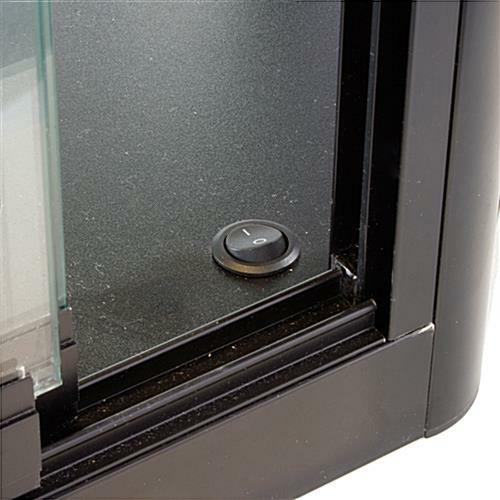 Additionally, you can use the included plunger lock to keep pesky passersby out of your curio case. 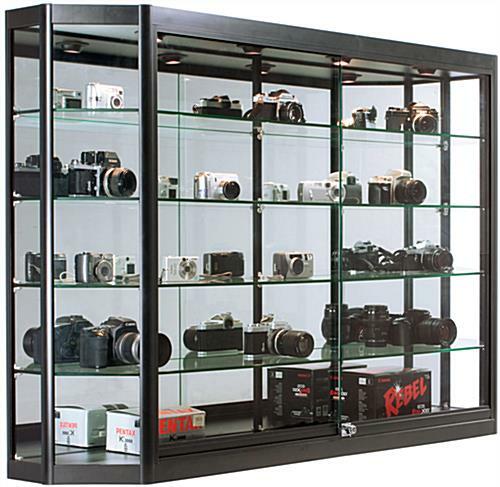 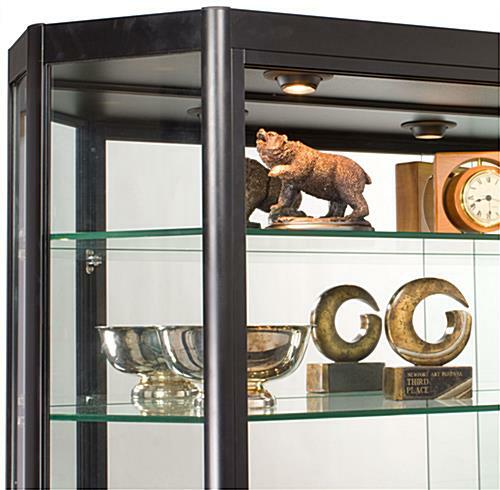 LED lighting keeps the display cabinet well-lit by utilizing adjustable bulbs and a mirrored glass back to ensure all jewelry, electronics, and collectables get their moment in the spotlight.